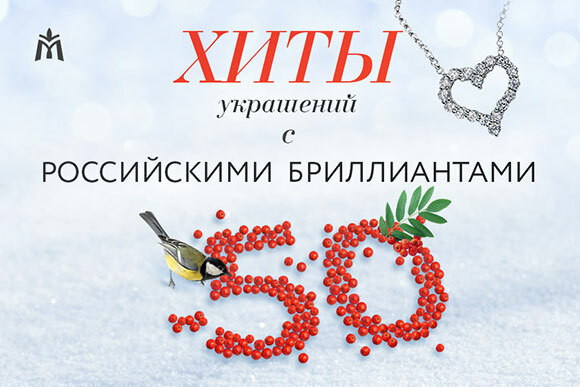 New Year SALE in all stores of the Moscow Jewelry Factory! | Киевский ТГК New Year SALE in all stores of the Moscow Jewelry Factory! 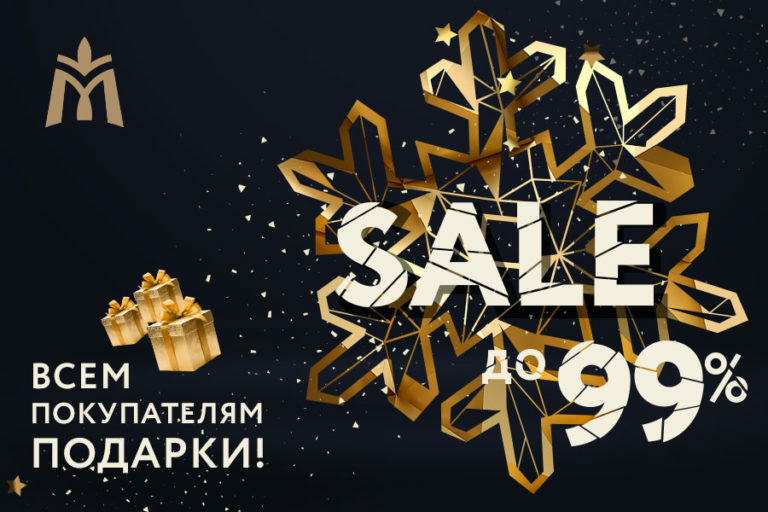 New Year SALE in all stores of the Moscow Jewelry Factory! From November 23, 2018 to January 10, 2019 we give you discount up to 60% for jewelry with diamonds from special range. 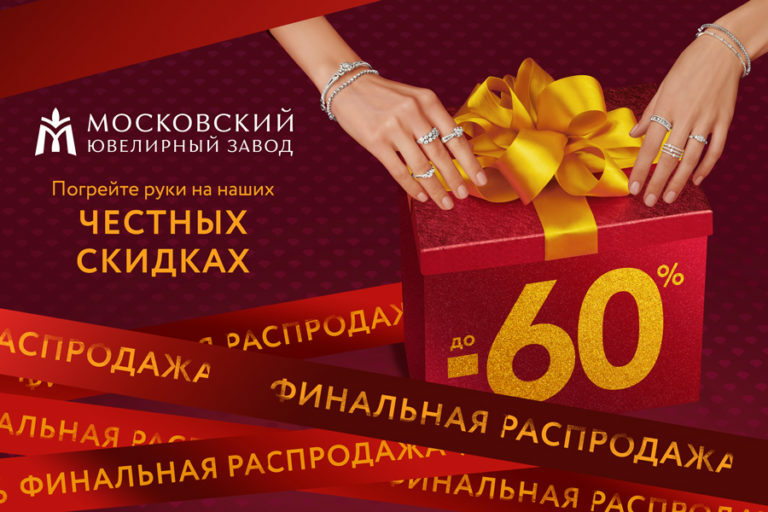 During this period, all customers – members of the MIUZ loyalty club are given the opportunity to win jewelry, additional discounts up to 70% and up to 99% on a second purchase, gift certificates for the amount of 3 000 rubles and polishing cloths for jewelry. The additional discounts do not apply. The quantity of the goods is limited. Winter sale in all stores of the Moscow Jewelry Factory! 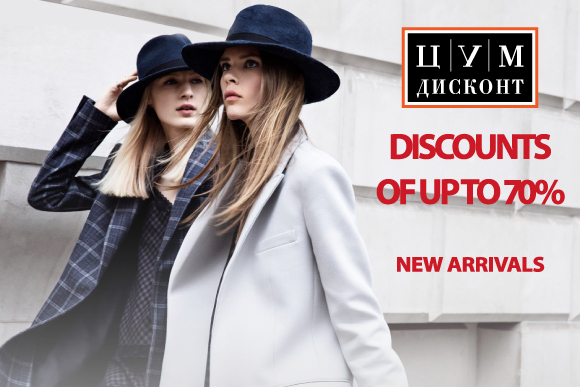 New year offer in TSUM Discount! 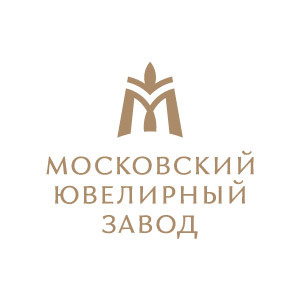 Hits of jewelry with Russian diamonds with 50% discount of the Moscow Jewelry Factory! Come to the TSUM Discount on new year sale! The Christmas collection to create a chic festive look from Rossorelativo! © 2008-2017 The Trade and Hotel Complex Kiev. All rights reserved.